Four pack of General Purpose Cloths. 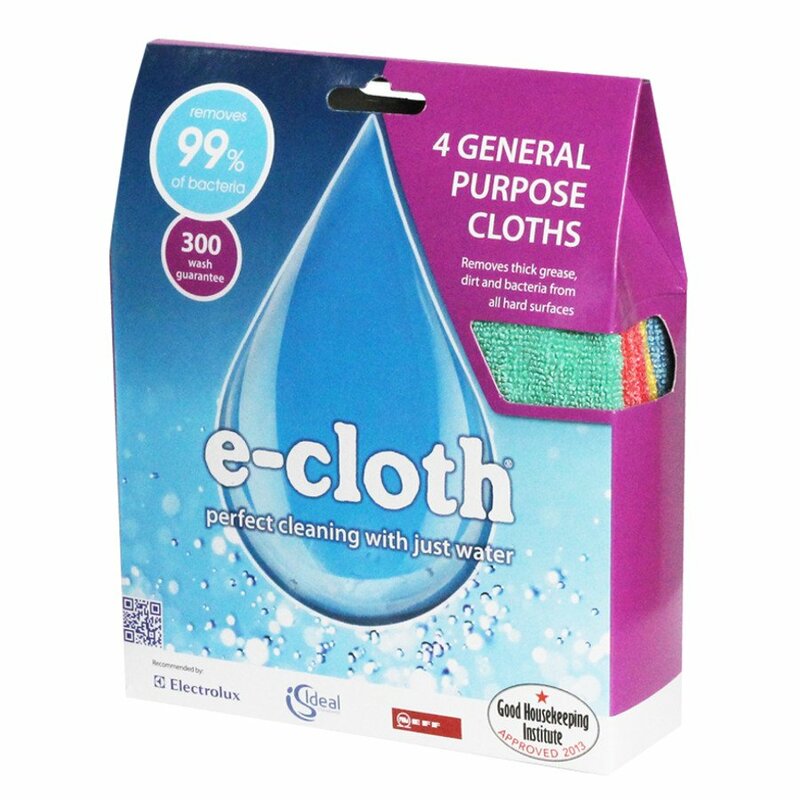 The E-Cloth General Purpose Cloths Four Pack product ethics are indicated below. To learn more about these product ethics and to see related products, follow the links below. I've been using these e-cloths for years and think they are great. They pick up the dust well and easy to wash. They are good quality and have survived many washes. There are cheaper imitations but the quality is not as good. 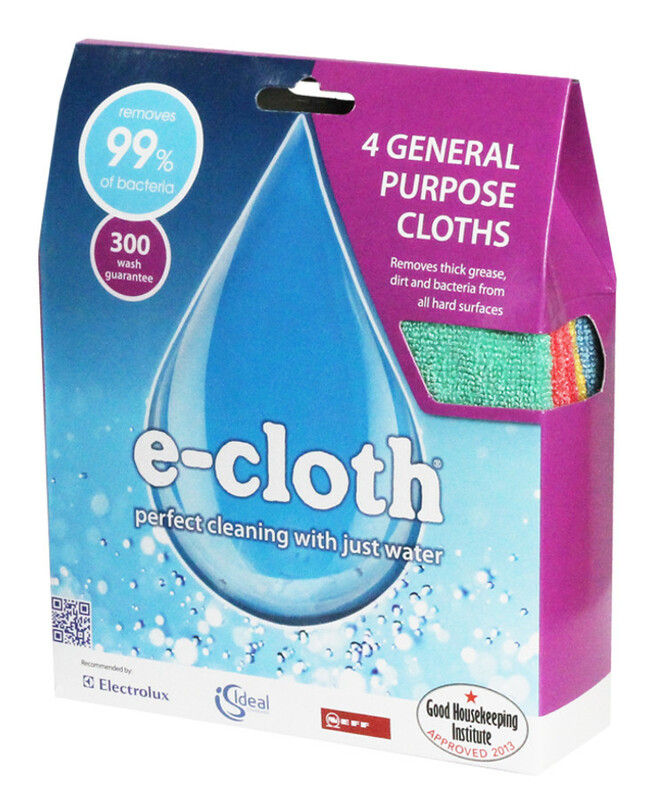 There are currently no questions to display about E-Cloth General Purpose Cloths Four Pack.